Coal Cracker Press, 9780692193358, 290pp. Horror has the gripping ability to captivate...and enthrall. It hooks you with unnerving stories of dread and evil, pushes your limits and pokes every phobia. Audiences love to be scared but behind every muffled scream is something deeper and even more fascinating. Rare insights about some of the greatest fright directors of all time, like David Cronenberg, Guillermo Del Toro and John Carpenter, culled from hundreds of interviews. An in-depth look at 6 of the most impactful horror films by women directors, plus a list of over 15 women directors you should be watching now. Relive the most terrifying and shocking moments in horror film history with detailed breakdowns of over 100 films. Plus, you'll uncover how horror lets you peek in at what may be lurking within yourself. Screaming for Pleasure thrills you with the beauty and depth of the horror genre, dissecting films, literature and music, that reveals how horror constantly reinvents itself and reflects the anxieties of each generation. 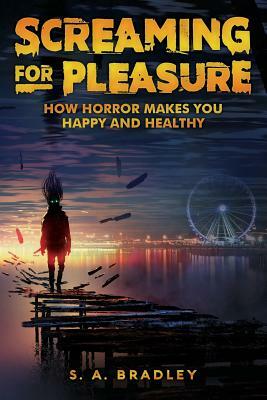 Whether you're frightened to watch scary movies alone or a horror obsessive, Screaming for Pleasure is the entertaining guide to help cinephiles of all types fall in love with horror again.